Lower bandwidth versions of these video and audio files, are available at the University Streaming Media Service (video / audio). 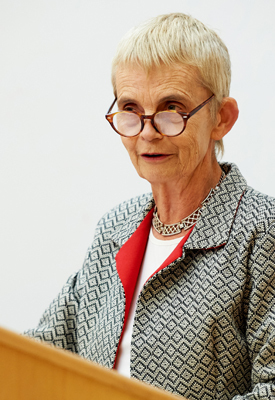 On Friday 27 February 2015, Laureate Professor Cheryl Saunders of the University of Melbourne delivered the 2014 Sir David Williams Lecture entitled "Devolution. Federation. Constitution. From here to where? ", at the Faculty of Law, University of Cambridge.